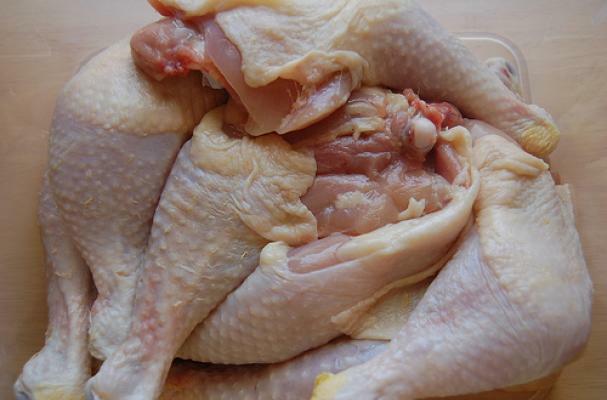 Chicken produced by Foster Farms at 3 plants in California has been implicated in a Salmonella outbreak that has sickened over 600 people in 29 states. The chicken was produced March 7 to 13 and sold under various brands including Costco, Kroger, Safeway and other retail stores in Alaska, Arizona, California, Hawaii, Idaho, Kansas, Nevada, Oklahoma, Oregon, Utah and Washington. Although there have been more than 600 cases logged through the CDC with this outbreak, this is the first time that Foster Farms has made the decision to recall their chicken, since the USDA can not force them to pull potentially tainted meat. The meat that Foster Farms has agreed to recall is listed on the USDA website listed here.